Spring is the season of letting go and renewal. This Spring Renewal workshop is designed to help and support you to release tension on all levels; physically, mentally and emotionally. We begin with a nourishing yin-inspired yoga practice to heighten awareness and connect with our intuition. Drawing our attention inward we can release any strain and create space for writing freely and with flow. 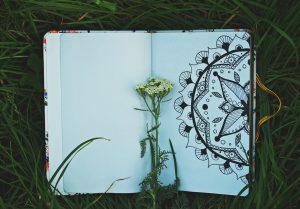 Relaxed and with a quiet mind; we move into our journalling session where we can let go of perfection and learn how to embrace ourselves fully. In a relaxed and informal setting; we take time to explore techniques to ‘let it all out’, tap into our intuition and understand how the ‘gut feeling’ works. Our intention is that you leave feeling inspired, connected and with a sense of renewal. Warming herbal tea and tasty snacks will be provided. Students should bring a journal / notepad + pen. When: Saturday 30th March, 2:30-5pm at Yoga Kula.